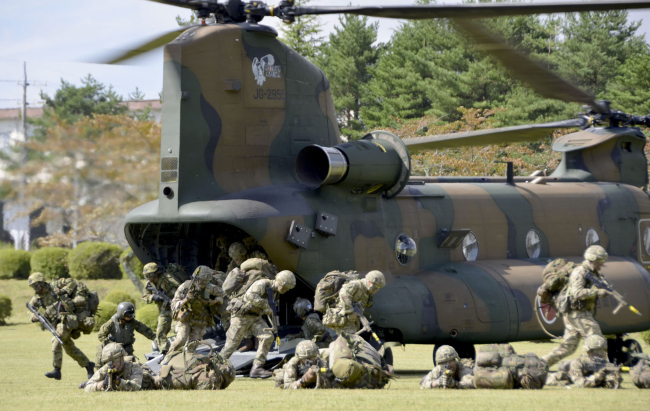 Controversy has erupted over the United States military’s decision to impose extra scrutiny on South Koreans visiting US bases in Japan, prompting speculation as to the reasoning behind it. According to US military newspaper Stars and Stripes, US Forces Japan has recently added South Korea to a list of nations whose citizens must undergo additional screening before they can be escorted onto installations. USFJ said the measure is a part of the routine process for reviewing its policies for third-country national access to US military installations in Japan. Until that review is complete, the previous policies and procedures will remain in effect, the command said. “In a dynamic security environment, we routinely review installation security procedures for the safety and security of our personnel and their families,” USFJ spokesperson Maj. Genieve White of the US Air Force told The Korea Herald via email. While USFJ did not provide a reason for tightening escorting procedures for Koreans, the measure has sparked speculation here over why the US, a key ally for South Korea, is imposing restrictions on Koreans similar to those placed on countries with hostile relations with the US. According to Stars and Stripes, South Korea is featured alongside about 50 other nations on the restricted list posted near the entrance to the home of USFJ in western Tokyo. Among others on the list are North Korea, China, Russia, Iran and Afghanistan. Some analysts have suggested the measure might be related to emerging discord between the allies over their dealings with North Korea. Concerns have been rising in Washington that Seoul is moving too fast in engaging with Pyongyang despite a lack of progress in denuclearization talks. US Secretary of State Mike Pompeo reportedly complained to his South Korean counterpart Kang Kyung-wha over the lack of prior coordination when the two Koreas announced a comprehensive agreement on military confidence-building measures last month. According to the report from the Nihon Keizai Shimbun newspaper, Pompeo took issue with South Korea’s agreement to establish an extensive no-fly zone along the border with North Korea. Seoul’s Foreign Minister Kang acknowledged the report at a parliamentary audit last week. Gen. Robert Abrams, who is to take the helm as commander of the US Forces in South Korea and United Nations Command, noted the efforts to implement the inter-Korean military pact inside the Demilitarized Zone are subject to UNC approval as the command supervises the border region.